This is an Audio Animation above. The Sunyaev–Zel'dovich effect (often abbreviated as the SZ effect) is the result of high energy electrons distorting the cosmic microwave background radiation (CMB) through inverse Compton scattering, in which the low energy CMB photons receive an average energy boost during collision with the high energy cluster electrons. Observed distortions of the cosmic microwave background spectrum are used to detect the density perturbations of the universe. Using the Sunyaev–Zel'dovich effect, dense clusters of galaxies have been observed. Rashid Sunyaev and Yakov Zel'dovich predicted the effect, and conducted research in 1969, 1972, and 1980. The Sunyaev–Zel'dovich effect is of major astrophysical and cosmological interest. It can help determine the value of the Hubble constant. To distinguish the SZ effect due to galaxy clusters from ordinary density perturbations, both the spectral dependence and the spatial dependence of fluctuations in the cosmic microwave background are used. Analysis of CMB data at higher angular resolution (high l values) requires taking into account the Sunyaev–Zel'dovich effect. Current research is focused on modelling how the effect is generated by the intracluster plasma in galaxy clusters, and on using the effect to estimate the Hubble constant and to separate different components in the angular average statistics of fluctuations in the background. Hydrodynamic structure formation simulations are being studied to gain data on thermal and kinetic effects in the theory. Observations are difficult due to the small amplitude of the effect and to confusion with experimental error and other sources of CMB temperature fluctuations. However, since the Sunyaev–Zel'dovich effect is a scattering effect, its magnitude is independent of redshift. This is very important: it means that clusters at high redshift can be detected just as easily as those at low redshift. Another factor which facilitates high-redshift cluster detection is the angular scale versus redshift relation: it changes little between redshifts of 0.3 and 2, meaning that clusters between these redshifts have similar sizes on the sky. The use of surveys of clusters detected by their Sunyaev–Zel'dovich effect for the determination of cosmological parameters has been demonstrated by Barbosa et al. (1996). This might help in understanding the dynamics of dark energy in forthcoming surveys (SPT, ACT, Planck). 1983 – Researchers from the Cambridge Radio Astronomy Group and the Owens Valley Radio Observatory first detect the Sunyaev–Zel'dovich effect from clusters of galaxies. 1993 – The Ryle Telescope is the first telescope to image a cluster of galaxies in the Sunyaev–Zel'dovich effect. 2005 – The Atacama Pathfinder Experiment – Sunyaev-Zel'dovich camera saw first light and shortly after began pointed observations of galaxy clusters. 2007 – The South Pole Telescope (SPT) saw first light on 16 February 2007, and began science observations in March of that same year. 2007 – The Atacama Cosmology Telescope (ACT) saw first light on 8 June, and will soon begin an SZ survey of galaxy clusters. 2008 – The South Pole Telescope (SPT) discover for the first time galaxy clusters via the SZ effect. 2009 – The Planck spacecraft, launched on 14 May 2009, to realize a full sky SZ survey of galaxy clusters. 2012 – The Atacama Cosmology Telescope (ACT) performs the first statistical detection of the kinematic SZ effect. 2012 – The first detection of the kinematic SZ effect in an object is observed in MACS J0717.5+3745, confirmed in 2013. Ostriker, Jeremiah P. & Vishniac, Ethan T. (1986). "Effect of gravitational lenses on the microwave background, and 1146+111B,C". Nature 322 (6082): 804. Bibcode:1986Natur.322..804O. doi:10.1038/322804a0. Cunnama D., Faltenbacher F.; Passmoor S., Cress C.; Cress, C.; Passmoor, S. (2009). "The velocity-shape alignment of clusters and the kinetic Sunyaev-Zeldovich effect". MNRAS Letters 397 (1): L41–L45. arXiv:0904.4765. Bibcode:2009MNRAS.397L..41C. doi:10.1111/j.1745-3933.2009.00680.x. Hand, Nick; Addison, Graeme E.; Aubourg, Eric; Battaglia, Nick; Battistelli, Elia S.; Bizyaev, Dmitry; Bond, J. Richard; Brewington, Howard; Brinkmann, Jon; Brown, Benjamin R.; Das, Sudeep; Dawson, Kyle S.; Devlin, Mark J.; Dunkley, Joanna; Dunner, Rolando; Eisenstein, Daniel J.; Fowler, Joseph W.; Gralla, Megan B.; Hajian, Amir; Halpern, Mark; Hilton, Matt; Hincks, Adam D.; Hlozek, Renée; Hughes, John P.; Infante, Leopoldo; Irwin, Kent D.; Kosowsky, Arthur; Lin, Yen-Ting; Malanushenko, Elena; et al. (2012). "Detection of Galaxy Cluster Motions with the Kinematic Sunyaev-Zel'dovich Effect". Physical Review Letters 109 (4): 041101. arXiv:1203.4219. Bibcode:2012PhRvL.109d1101H. doi:10.1103/PhysRevLett.109.041101. PMID 23006072. Mroczkowski, Tony; Dicker, Simon; Sayers, Jack; Reese, Erik D.; Mason, Brian; Czakon, Nicole; Romero, Charles; Young, Alexander; Devlin, Mark; Golwala, Sunil; Korngut, Phillip; Sarazin, Craig; Bock, James; Koch, Patrick M.; Lin, Kai-Yang; Molnar, Sandor M.; Pierpaoli, Elena; Umetsu, Keiichi; Zemcov, Michael (2012). "A Multi-wavelength Study of the Sunyaev-Zel'dovich Effect in the Triple-merger Cluster MACS J0717.5+3745 with MUSTANG and Bolocam". Astrophysical Journal 761: 47. arXiv:1205.0052. Bibcode:2012ApJ...761...47M. doi:10.1088/0004-637X/761/1/47 (inactive 2015-01-09). Sayers, Jack; Mroczkowski, T.; Zemcov, M.; Korngut, P. M.; Bock, J.; Bulbul, E.; Czakon, N. G.; Egami, E.; Golwala, S. R.; Koch, P. M.; Lin, K.-Y. ; Mantz, A.; Molnar, S. M.; Moustakas, L.; Pierpaoli, E.; Rawle, T. D.; Reese, E. D.; Rex, M.; Shitanishi, J. A.; Siegel, S.; Umetsu, K. (2013). "A Measurement of the Kinetic Sunyaev-Zel'dovich Signal Toward MACS J0717.5+3745". Astrophysical Journal 778: 52. arXiv:1312.3680. Bibcode:2013ApJ...778...52S. doi:10.1088/0004-637X/778/1/52. Rephaeli, Y. (1995). "Comptonization Of The Cosmic Microwave Background: The Sunyaev-Zeldovich Effect". Annual Review of Astronomy and Astrophysics 33 (1): 541–580. Bibcode:1995ARA&A..33..541R. doi:10.1146/annurev.aa.33.090195.002545. Barbosa, D.; Bartlett, J. G.; Blanchard, A.; Oukbir, J. (1996). "The Sunyaev-Zel'dovich effect and the value of Ω0". Astronomy and Astrophysics 314: 14. arXiv:astro-ph/9511084. Bibcode:1996A&A...314...13B. Birkinshaw, M.; Gull, S. F.; Hardebeck, H. (1984). "The Sunyaev-Zel'dovich effect towards three clusters of galaxies". Nature 309 (5963): 34–35. Bibcode:1984Natur.309...34B. doi:10.1038/309034a0. Birkinshaw, Mark (1999). "The Sunyaev Zel'dovich Effect". Physics Reports 310 (2–3): 97–195. arXiv:astro-ph/9808050. Bibcode:1999PhR...310...97B. doi:10.1016/S0370-1573(98)00080-5. Cen, Renyue; Jeremiah P. Ostriker (1994). "A hydrodynamic approach to cosmology: the mixed dark matter cosmological scenario". The Astrophysical Journal 431: 1. arXiv:astro-ph/9404011. Bibcode:1994ApJ...431..451C. doi:10.1086/174499. Hu, Jian; Yu-Qing Lou (2004). "Magnetic Sunyaev-Zel'dovich effect in galaxy clusters". ApJL 606: L1–L4. arXiv:astro-ph/0402669. Bibcode:2004ApJ...606L...1H. doi:10.1086/420896. Ma, Chung-Pei; J. N. Fry (27 May 2002). "Nonlinear Kinetic Sunyaev-Zel'dovich Effect". PRL 88 (21): 211301. arXiv:astro-ph/0106342. Bibcode:2002PhRvL..88u1301M. doi:10.1103/PhysRevLett.88.211301. Myers, A. D.; Shanks, T.; et al. (2004). "Evidence for an Extended SZ Effect in WMAP Data". Monthly Notices of the Royal Astronomical Society 347 (4): L67–L72. arXiv:astro-ph/0306180. Bibcode:2004MNRAS.347L..67M. doi:10.1111/j.1365-2966.2004.07449.x. Springel, Volker; White, Martin; Hernquist, Lars (2001). "Hydrodynamic Simulations of the Sunyaev-Zel'dovich effect(s)". ApJ 549 (2): 681–687. arXiv:astro-ph/0008133. Bibcode:2001ApJ...549..681S. doi:10.1086/319473. Sunyaev, R. A.; Ya. B. Zel'dovich (1970). "Small-Scale Fluctuations of Relic Radiation". Astrophysics and Space Science 7: 3. Bibcode:1970Ap&SS...7....3S. doi:10.1007/BF00653471 (inactive 2015-01-09). Sunyaev, R. A.; Ia. B Zel'dovich (1980). "Microwave background radiation as a probe of the contemporary structure and history of the universe". Annual Review of Astronomy and Astrophysics 18 (1): 537–560. Bibcode:1980ARA&A..18..537S. doi:10.1146/annurev.aa.18.090180.002541. Diego, J. M.; Martinez, E.; Sanz, J. L.; Benitez, N.; Silk, J. (2002). "The Sunyaev-Zel'dovich effect as a cosmological discriminator". Monthly Notices of the Royal Astronomical Society 331 (3): 556–568. arXiv:astro-ph/0103512. Bibcode:2002MNRAS.331..556D. doi:10.1046/j.1365-8711.2002.05039.x. Corrupted echoes from the Big Bang? innovations-report.com. The no-hair theorem postulates that all black hole solutions of the Einstein-Maxwell equations of gravitation and electromagnetism in general relativity can be completely characterized by only three externally observable classical parameters: mass, electric charge, and angular momentum. All other information (for which "hair" is a metaphor) about the matter which formed a black hole or is falling into it, "disappears" behind the black-hole event horizon and is therefore permanently inaccessible to external observers. Physicist John Archibald Wheeler expressed this idea with the phrase "black holes have no hair" which was the origin of the name. In a later interview, John Wheeler says that Jacob Bekenstein coined this phrase. The first version of the no-hair theorem for the simplified case of the uniqueness of the Schwarzschild metric was shown by Werner Israel in 1967. The result was quickly generalized to the cases of charged or spinning black holes. There is still no rigorous mathematical proof of a general no-hair theorem, and mathematicians refer to it as the no-hair conjecture. Even in the case of gravity alone (i.e., zero electric fields), the conjecture has only been partially resolved by results of Stephen Hawking, Brandon Carter, and David C. Robinson, under the additional hypothesis of non-degenerate event horizons and the technical, restrictive and difficult-to-justify assumption of real analyticity of the space-time continuum. Suppose two black holes have the same masses, electrical charges, and angular momenta, but the first black hole is made out of ordinary matter whereas the second is made out of antimatter; nevertheless, they will be completely indistinguishable to an observer outside the event horizon. None of the special particle physics pseudo-charges (i.e., the global charges baryonic number, leptonic number, etc.) are conserved in the black hole. These numbers represent the conserved attributes of an object which can be determined from a distance by examining its gravitational and electromagnetic fields. All other variations in the black hole will either escape to infinity or be swallowed up by the black hole. By changing the reference frame one can set the linear momentum and position to zero and orient the spin angular momentum along the positive z axis. This eliminates eight of the eleven numbers, leaving three which are independent of the reference frame. Thus any black hole which has been isolated for a significant period of time can be described by the Kerr–Newman metric in an appropriately chosen reference frame. The no-hair theorem was originally formulated for black holes within the context of a four-dimensional spacetime, obeying the Einstein field equation of general relativity with zero cosmological constant, in the presence of electromagnetic fields, or optionally other fields such as scalar fields and massive vector fields (Proca fields, spinor fields, etc.). It has since been extended to include the case where the cosmological constant is positive (which recent observations are tending to support). Magnetic charge, if detected as predicted by some theories, would form the fourth parameter possessed by a classical black hole. Counterexamples in which the theorem fails are known in spacetime dimensions higher than four; in the presence of non-abelian Yang-Mills fields, non-abelian Proca fields, some non-minimally coupled scalar fields, or skyrmions; or in some theories of gravity other than Einstein’s general relativity. However, these exceptions are often unstable solutions and/or do not lead to conserved quantum numbers so that "The 'spirit' of the no-hair conjecture, however, seems to be maintained". It has been proposed that "hairy" black holes may be considered to be bound states of hairless black holes and solitons. In 2004, the exact analytical solution of a (3+1)-dimensional spherically symmetric black hole with minimally coupled self-interacting scalar field was derived. This showed that, apart from mass, electrical charge and angular momentum, black holes can carry a finite scalar charge which might be a result of interaction with cosmological scalar fields such as the inflaton. The solution is stable and does not possess any unphysical properties, however, the existence of scalar field with desired properties is only speculative. The LIGO results provide the first experimental observation of the uniqueness or no-hair theorem. This observations are consistent with Stephen Hawking theoretical work on black holes in the 1970s. Misner, Charles W.; Thorne, Kip S.; Wheeler, John Archibald (1973). Gravitation. San Francisco: W. H. Freeman. pp. 875–876. ISBN 0716703343. Retrieved 24 January 2013. Israel, Werner (1967). "Event Horizons in Static Vacuum Space-Times". Phys. Rev. 164 (5): 1776–1779. Bibcode:1967PhRv..164.1776I. doi:10.1103/PhysRev.164.1776. Israel, Werner (1968). "Event horizons in static electrovac space-times". Commun. Math. Phys. 8 (3): 245–260. Bibcode:1968CMaPh...8..245I. doi:10.1007/BF01645859. Carter, Brandon (1971). "Axisymmetric Black Hole Has Only Two Degrees of Freedom". Phys. Rev. Lett. 26 (6): 331–333. Bibcode:1971PhRvL..26..331C. doi:10.1103/PhysRevLett.26.331. Bhattacharya, Sourav; Lahiri, Amitabha (2007). "No hair theorems for positive Λ". arXiv:gr-qc/0702006v2. Mavromatos, N. E. (1996). "Eluding the No-Hair Conjecture for Black Holes". arXiv:gr-qc/9606008v1. Zloshchastiev, Konstantin G. (2005). "Coexistence of Black Holes and a Long-Range Scalar Field in Cosmology". Phys. Rev. Lett. 94 (12): 121101. arXiv:hep-th/0408163. Bibcode:2005PhRvL..94l1101Z. doi:10.1103/PhysRevLett.94.121101. "Gravitational waves from black holes detected". BBC News. 11 February 2016. 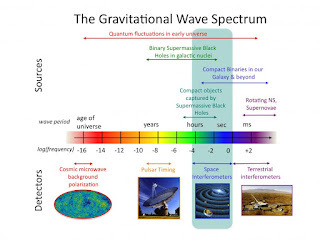 "Gravitational waves detected 100 years after Einstein's prediction" (PDF). LIGO. February 11, 2016. Retrieved 11 February 2016. Hawking, S. W. (2005). "Information Loss in Black Holes". arXiv:hep-th/0507171v2. , Stephen Hawking’s purported solution to the black hole unitarity paradox, first reported in July 2004. Is Gravity Now part of the Standard Model? I leave this as a open question as I will be compiling information in this regard. If the initial configuration of the source is being transmitted as gravitational waves then this is also part of "other information" being traversed through space and space-time? This in affect pertains to recent events regarding the detection of gravitational waves recent. So I have ideas about this now. Dear Dr Bee: Can LIGO’s gravitational wave detection tell us something about quantum gravity? Homodyne detection is a method of detecting frequency-modulated radiation by non-linear mixing with radiation of a reference frequency, the same principle as for heterodyne detection. In optical interferometry, homodyne signifies that the reference radiation (i.e. the local oscillator) is derived from the same source as the signal before the modulating process. For example, in a laser scattering measurement, the laser beam is split into two parts. One is the local oscillator and the other is sent to the system to be probed. The scattered light is then mixed with the local oscillator on the detector. This arrangement has the advantage of being insensitive to fluctuations in the frequency of the laser. Usually the scattered beam will be weak, in which case the (nearly) steady component of the detector output is a good measure of the instantaneous local oscillator intensity and therefore can be used to compensate for any fluctuations in the intensity of the laser. Homodyne and heterodyne techniques are commonly used in thermoreflectance techniques. Homodyne detection was one of the key techniques in demonstrating spooky action at a distance. In radio technology, the distinction is not the source of the local oscillator, but the frequency used. In heterodyne detection, the local oscillator is frequency-shifted, while in homodyne detection it has the same frequency as the radiation to be detected. See direct conversion receiver. Maria Fuwa, Shuntaro Takeda, Marcin Zwierz, Howard M. Wiseman & Akira Furusawa (24 March 2015). "Experimental proof of nonlocal wavefunction collapse for a single particle using homodyne measurements". Nature Communications 6 (6665): 6665. doi:10.1038/ncomms7665. The idea about heaven in the regard with which you ponder, is it not very far away then? Meaning, that heaven is really right next door to you all the time. Heaven then, could be a state of mind, consciousness where we can move in time in very interesting ways. Heaven literally then, could sit in the very same space that you are standing in? So this idea then rests on how one may interpret geometric dimensional attributes as facets and degrees with which we access not only the future, but about how that future affects the past. While in the film we see physical manifestations as gravitational waves, as a bar code and a distribution of dust according to those patterns, these are derivatives of some higher dimensional thinking being communicated from the Tesseract, as books falling to the floor. 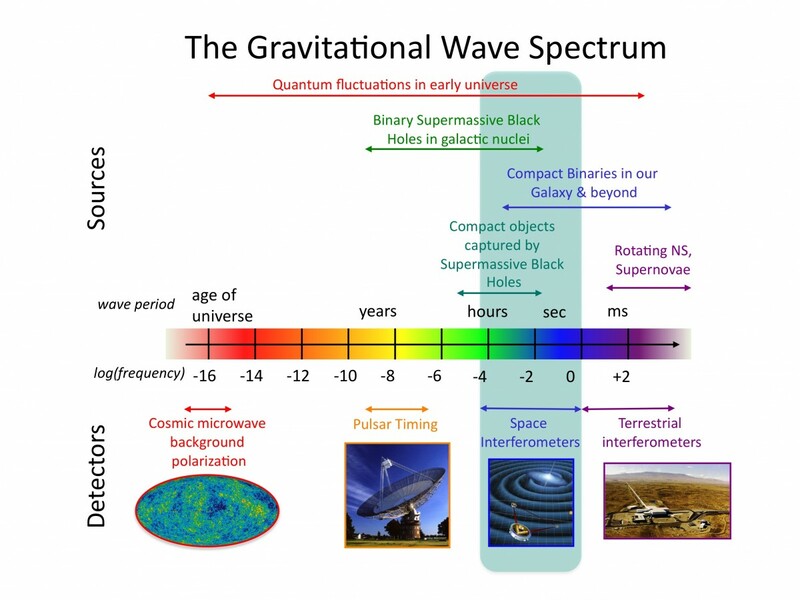 So the gravitational waves have "a source" from which information is attained. The watch, as time being communicated in the second hand. We use time as a means of representing a fourth physical dimension. I think artists in some way explore these limitations of how such a thought construct could have been realized and in regards to Dali (are such dimensional attributes really inaccessible to the mind? ), while we may make comments on his character, this does not limit one to realize how the Tesseractbecomes the measure that heaven can be seen in the construct of such thoughts you are engaged in. The implied idea of symmetry(the God Particle), possibly, as to perfection in the way one may look at heaven and in Plato's case regardless of how old the philosophy is, it helps to point to some ideas about how the Catholic religion in Rome grabbed hold of Plato by a finger, as pointing up in relation to Aristotle in the School of Athen's fresco done by Raphael in the Signatore's rooms at the Vatican.